Oxford Academicals is ten years old this year, and as part of our celebrations we’re planning to hold an anniversary party this summer, with some fun scratch racing earlier in the day. We’d love to have as many former members involved in this event as possible. To help former members maintain links with us after formal membership at the Club has finished, we are founding OARS, the Old Academicals Rowers’ Society, to bring together our old members and offer a way to keep in touch with what we’re doing, as well as giving the opportunity to row occasionally with the Club. This ten-year anniversary of Academicals is a great time to launch this new Society and invite former members back to see what the Club has been doing since they left. We would like to invite all former members to become a member of this Society. Membership is £20 per year, and all money collected would go into the boat buying fund to help improve the fleet for future members. The reason for charging is primarily fundraising for the Club – what is a relatively small amount per person could make a real difference to the Club. For more information about how to sign up please contact socialsecretary@oxfordacademicals.org.uk . 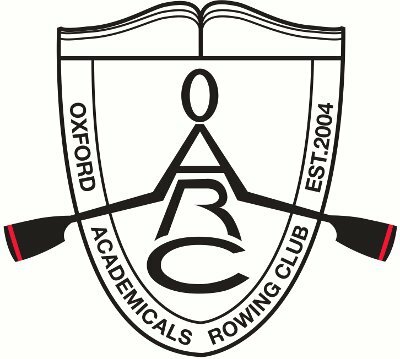 OARC is recruiting experienced and returning rowers! Men’s squad novices feature in the Oxford Mail!